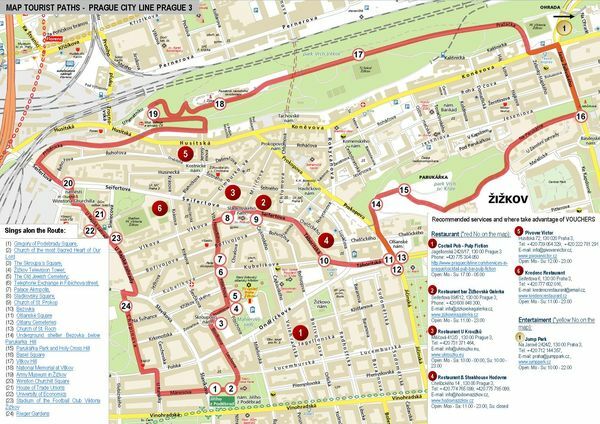 Those who will climb to the top of Vítkov Hill will besides the glamorous view of the Prague centre see also one of the world´s greatest equestrian statues. 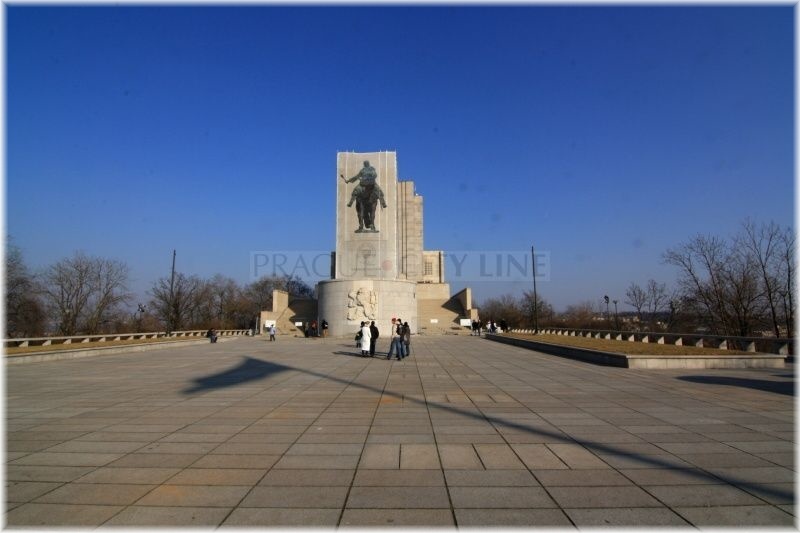 It is the monumentous statue of Jan Žižka of Trocnov which is a part of the National Memorial. 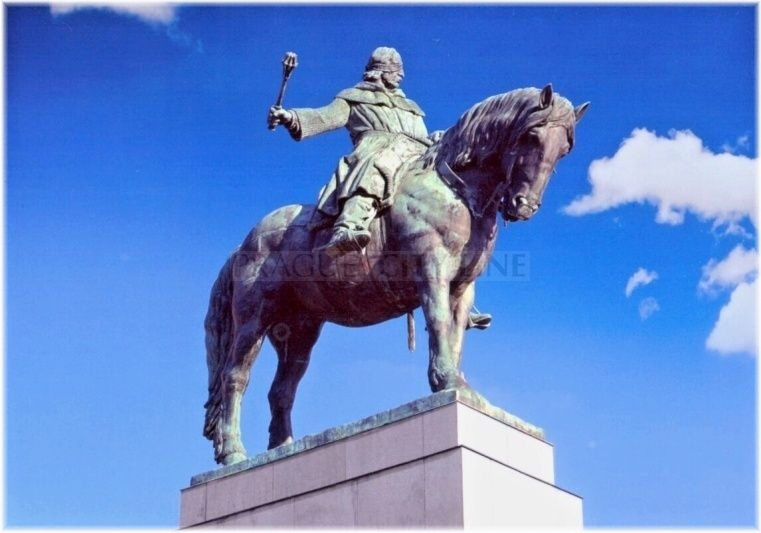 The equestrian statue of Jan Žižka at Prague´s Vítkov ranks among the greatest equestrian statues in the world. 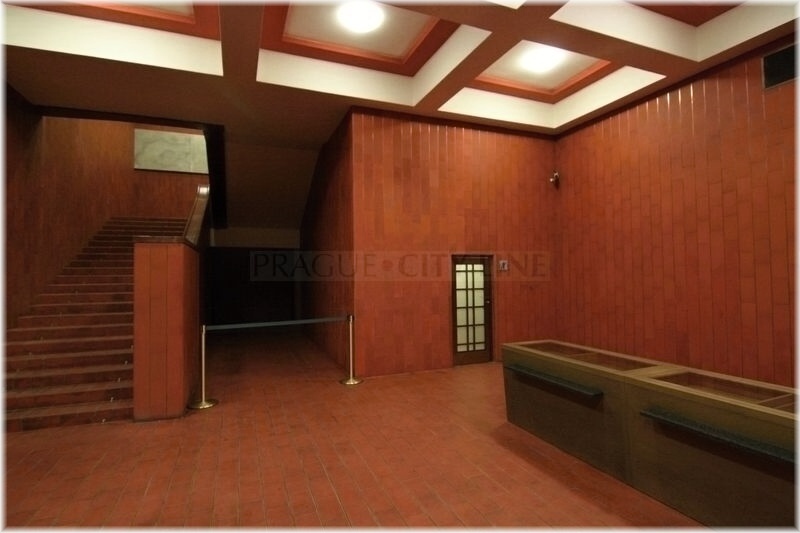 The statue comes from the workshop of Bohumil Kafka who created it in 1950. 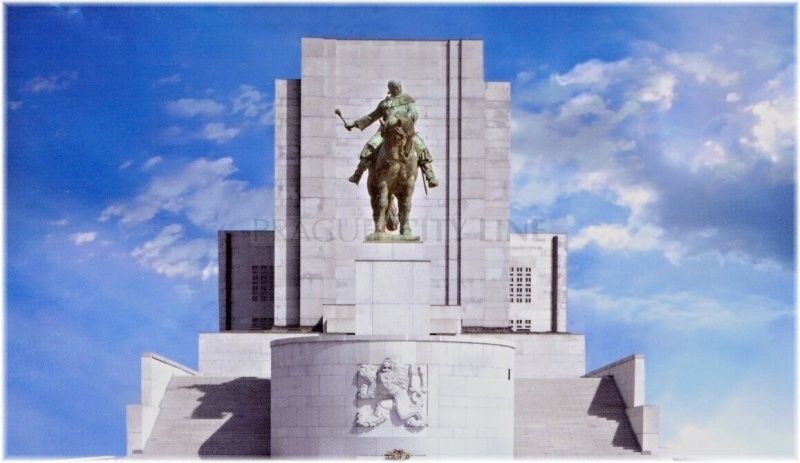 This European greatest equestrian statue is subtly worked out. 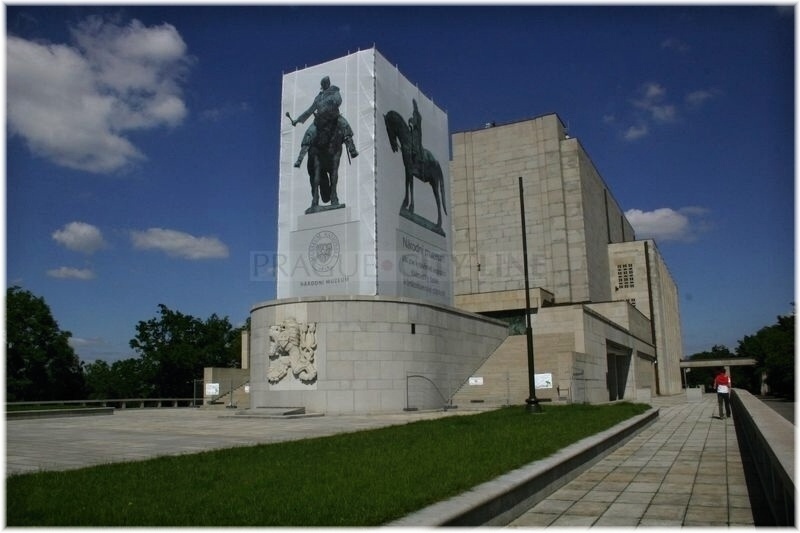 Besides the horse there is an image of a Hussite commander who had defeated the Crusade troops in the Battle of Vítkov. Bohumil Kafka spent entire ten years working on the statue, i.e. from 1932 to 1942. During that time he carried out a plaster model of the statue which was casted of bronze after the war. 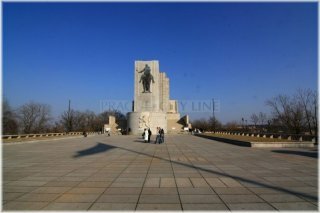 The festive revelation took place on the occassion of the 530th anniversary of the Battle of Vítkov, i.e. on July 14th, 1950. A model for the statue of a horse which Bohumil Kafka had chosen was a Norico sorrel Theseus from the Tlumačov stud farm. Then long-term observations of the horse followed during which the sculptor deeply studied the animal´s every single move. Due to the photographs with the horse relaxed and but also in motion a perfect masterpiece of a horse in his life-size could have been performed long years later. Further works continued on the rider´s figure. It was not easy at all to find a man who would absolutely meet the author´s requirements. As a result, several manly types such as a wrestler, officer, clerk or even architect posed as a model to Kafka. Bohumil Kafka was watching every single detail, in order to be able to portray every moment perfectly. 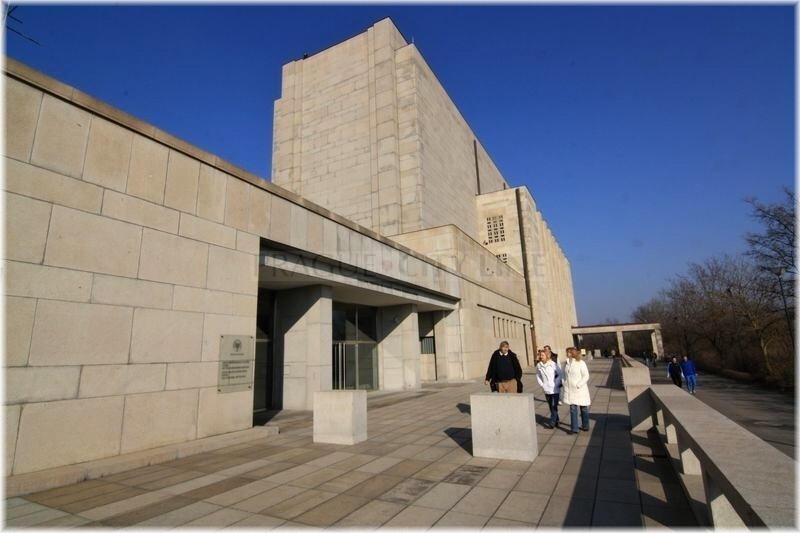 He also co-operated with many historians, who helped him put Žižka´s military equipment together. Due to these sophisticated working techniques we can view a statue at Vítkov today reaching around nine metres high and weighting more than sixteen tons. 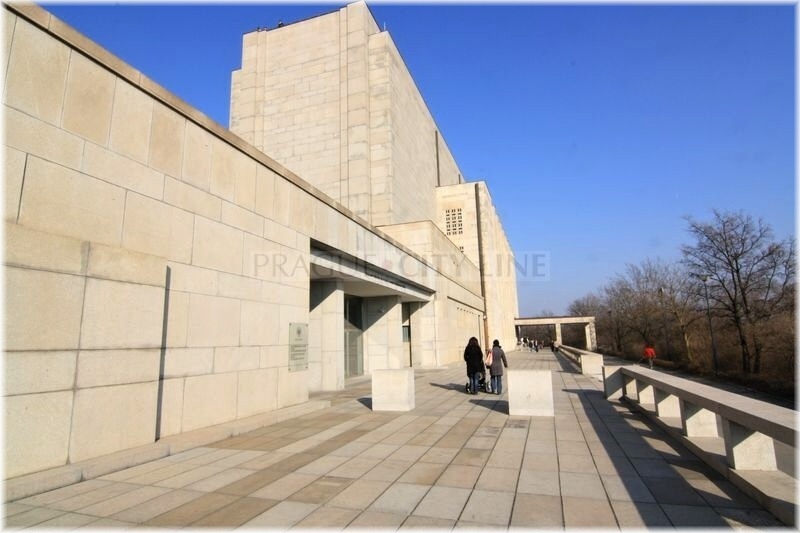 Not everybody knows that there is a grave of an Unknown Soldier below the monument of Jan Žižka and also the military columbarium, a place where the burial urns of the fallen soldiers had been placed. Their remains were transferred to Vítkov in 1949 from Dukla where one of the crucial WW2 battles took place in 1944. 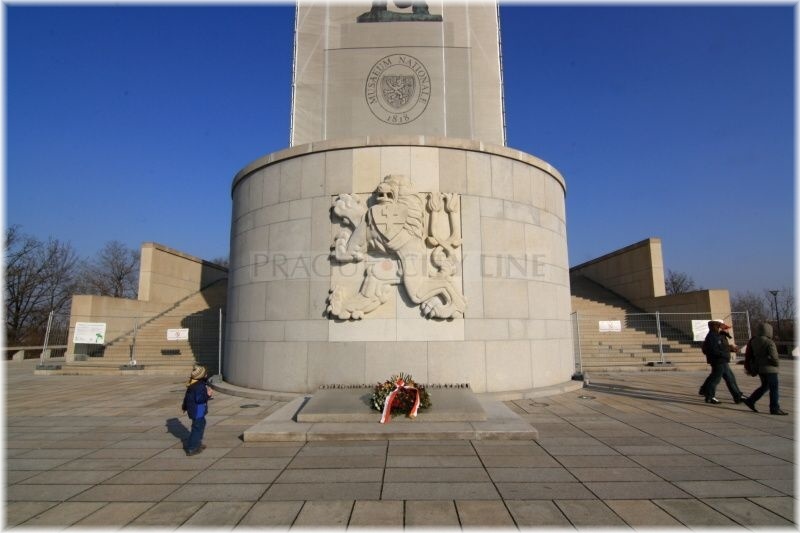 Therefore, the statue used to be a place of pietas and ceremonious acts. 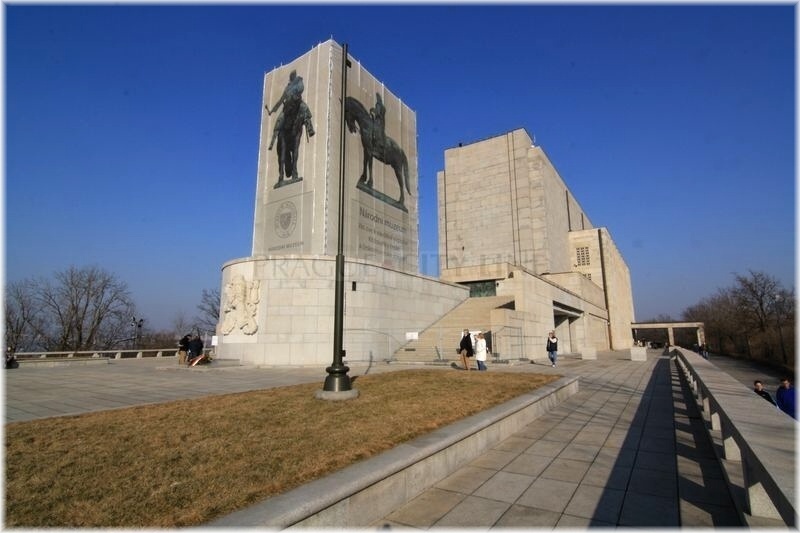 The tomb is covered by a monumentous granite board with the following inscription „Glory to the heros fallen for their motherland“. There is a big state emblem carved over the grave. 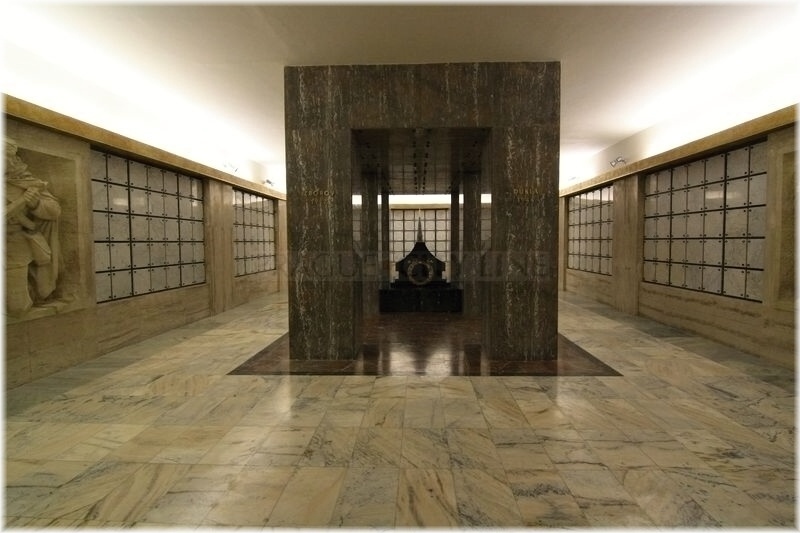 In 2006 the remains of general Alois Eliáš and his wife were placed in here. Equestrian statue of Jan Žižka of Trocnov 50.088415, 14.449189 EQUESTRIAN STATUE OF JAN ŽIŽKA OF TROCNOV Those who will climb to the top of Vítkov Hill will besides the glamorous view of the Prague centre see also one of the world´s greatest equestrian statues. 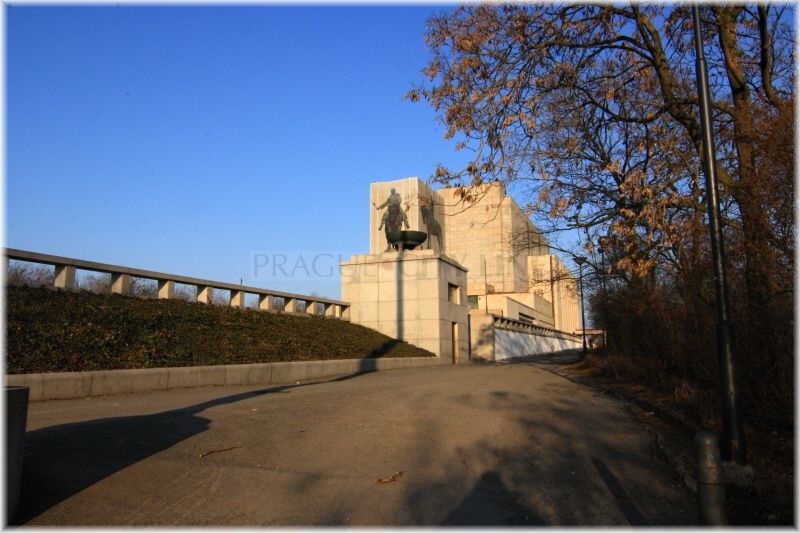 It is the monumentous statue of Jan Žižka of Trocnov which is a part of the National Memorial.